Peirene Press specialise in high-quality fiction, mostly European – novellas and short story collections which always have something interesting to offer. 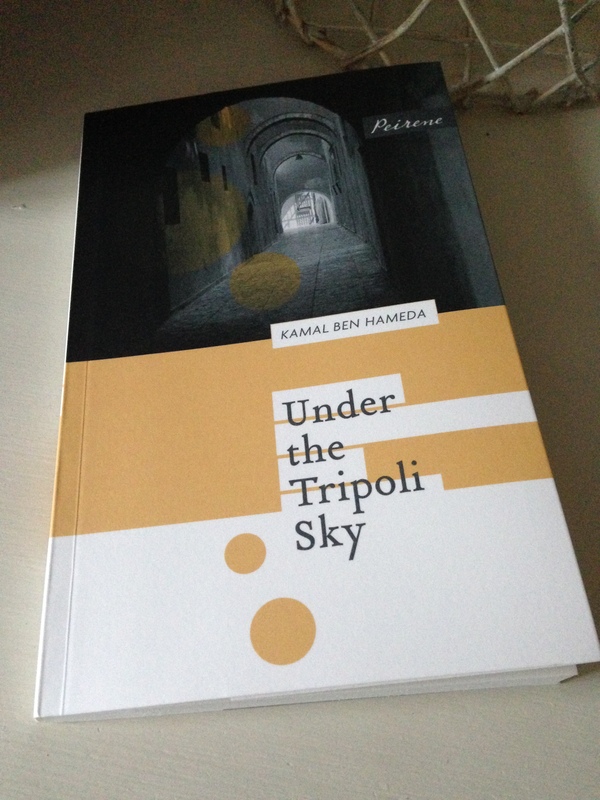 They curate their books by theme, and Under the Tripoli Sky (a novella by Libyan-born writer Kamal Ben Hameda, first published in French in 2011) is the third in their Coming-of-Age: Towards Identity series. I’ve already reviewed the second book in this series, The Blue Room by Hanne Ørstavik, and the first (The Dead Lake by Hamid Ismailov) is in my tbr pile. During the novella, there is a sense that Hadachinou is going through a period of self-discovery, and when Siddena, a fifteen-year-old black girl comes to live with his family to help with the household chores, the young boy is attracted to this fascinating girl. While Under the Tripoli Sky is a coming-of-age story, there is a distinct maturity to Hadachinou’s voice which suggests he is looking back on his days as a young boy a number of years down the line. Under the Tripoli Sky presents an interesting and sensitively-written insight into the different cultures in Tripoli in the 1960s (the city is inhabited by Muslims, Jews, Christians and the American military). The threat of violence and tension lingers, both within the homes of the families we meet and the city itself (there are references to Mussolini’s arrival in Tripoli many years before). Some sections of Under the Tripoli Sky may make for uncomfortable reading, but as is often the case with translated fiction, this novella offers us a window into another part of the world. Grant at 1streading has also reviewed this book. Under the Tripoli Sky (tr. by Adriana Hunter) is published in the UK by Peirene Press. Source: review copy kindly provided by the publishers. This entry was posted in Book Reviews, Hameda Kamal Ben and tagged #TranslationThurs, Adriana Hunter, Book Review, Fiction, Kamal Ben Hameda, Libya, Literature in Translation, Peirene Press on October 3, 2014 by JacquiWine.